EZ-Gro Copper (Cu) 10% 8-0-0 is a plant nutrient supplement powder, which exploits amino acid chelation to enhance its bioavailability. Copper is an essential metal required for the proper growth and development of plants as it is a cofactor for multiple enzymes, particularly those involved in photosynthetic electron transport. 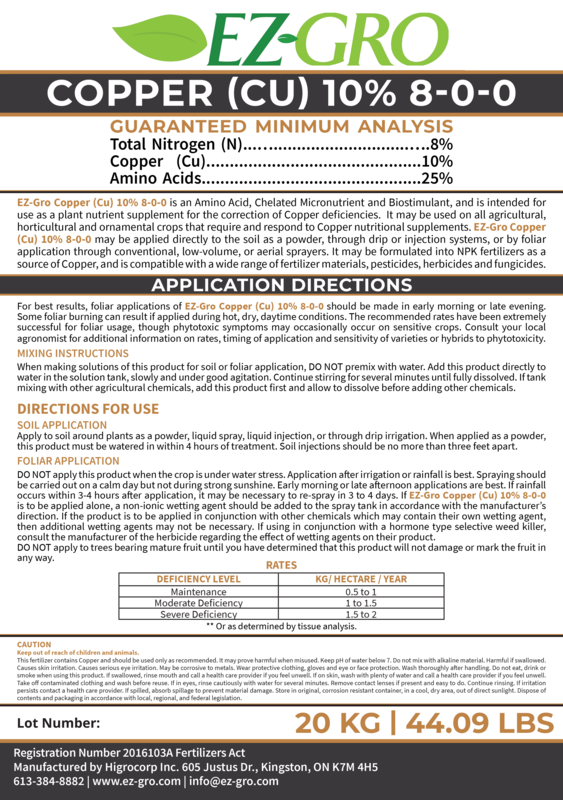 Add EZ-Gro Copper (Cu) 10% 8-0-0 to your current fertilizer regimen to remedy copper deficiencies and boost growth, yield and quality of your plants.